Snowy Mountain Ranch is a unique property which stands out for its setting, quality of land and exceptional improvements. The combination of natural beauty, access to surrounding recreation and first-class structures is unlike anything else in the area. 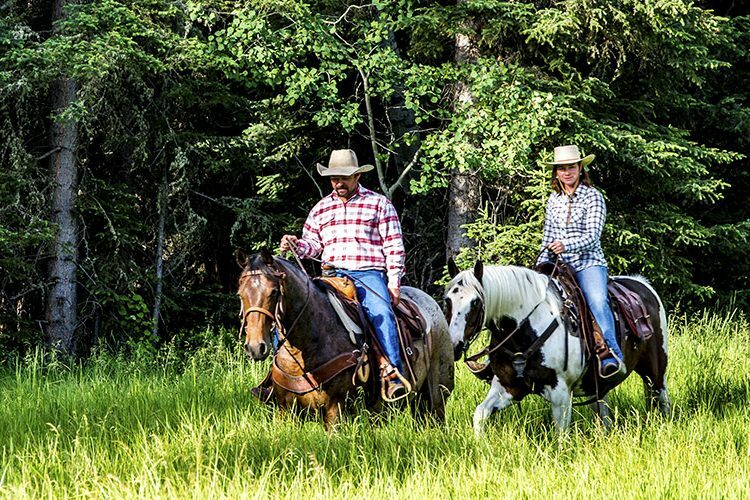 Snowy Mountain Ranch is truly representative of a “best in class” property. The ranch is both a place to play hard and a retreat to relax in luxury and enjoy the surrounding scenery. Either way it is an attractive gathering place that family and friends will want to enjoy throughout the year. Brian became a ranch partner with Hall and Hall in 2005 when he opened our northwest Colorado office. Originally from the Midwest, Brian strongly supports saving our agricultural heritage. 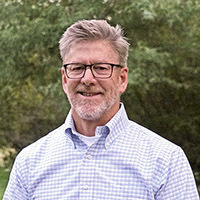 In 1996, he received a master’s degree from the University of Denver’s Daniels College of Business and has specialized in high-value real estate since then. 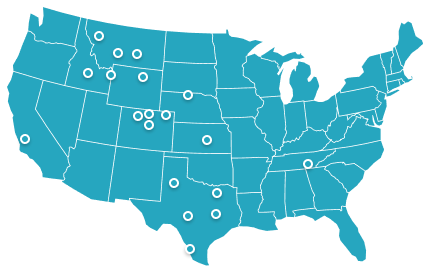 Brian holds real estate licenses in Colorado and several neighboring states. An avid sportsman, he is an active member of numerous conservation organizations and promotes wildlife and aquatic habitat protection and enhancement. Brian enjoys the good life in Steamboat Springs, Colorado, where he lives with his wife and two daughters. At the pinnacle of the upper Elk River Valley is a unique gentleman’s ranch combining exceptional land and extraordinary improvements. Snowy Mountain Ranch is ideally positioned to capture the majestic setting overlooking Steamboat Lake and the surrounding high mountain peaks. 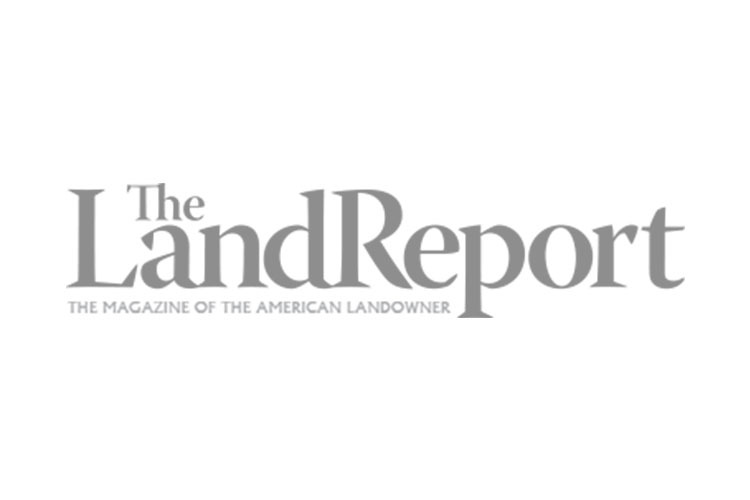 The land features a diverse blend of attractive characteristics with 210± acres of beautiful meadows, healthy aspen and timber forests, ponds, wetlands and meandering Willow Creek. With Routt National Forest bordering one side of the property and Steamboat Lake State Park on the other, nearly every conceivable outdoor activity is within easy reach. The impressive residences are masterfully crafted of quality large-diameter log and stone construction with the highest levels of finish. The 10,900± square foot main house exudes warmth, charm and timeless character. A massive stone fireplace anchors the soaring great room and abundant windows offer scenic views of the surrounding landscape from nearly every room. Attention to detail is evident throughout, from the well-appointed kitchen to the six expansive bedroom suites. A two-bedroom guest house, and a log barn with an upper-level apartment and plenty of storage nicely compliment the main house. The property is both intimately comfortable and perfectly suited for hosting large gatherings. Snowy Mountain Ranch is located in northwest Colorado approximately 30 miles from the resort amenities of Steamboat Springs and 45 miles from the regional airport. Co-listed with Pam Vanatta, Steamboat Sotheby's. The incredible setting of Snowy Mountain Ranch is one of the property’s distinguishing characteristics. Slightly elevated above Steamboat Lake with views of the surrounding mountain ranges provides one of the most scenic 360 degree vistas in northwestern Colorado. The ranch is also well protected, lying between Routt National Forest to the north and Steamboat Lake State Park to the south. The neighbors to the east and west are both privately held and utilized as mountain retreats. Access to the ranch is via paved County Road 62, with the private entrance to the property located at its southern end. The ranch’s terrain is gentle, with lower elevations along Willow Creek at 8,120 feet and those on the bluff topping out at 8,200 feet. Elevation rises dramatically behind Snowy Mountain Ranch to over 9,400 feet. The property’s favorable topography is such that one can see out but not in. Willow Creek flows from Hahn’s Peak Lake to the north and through the eastern portion of the property. A secondary drainage with a spring-fed pond provides an additional watering source for the abundant wildlife population. Vegetation on the property is diverse and includes large stands of aspen interspersed with a mix of conifers and open mountain meadows. The property has been well cared for and professionally maintained. An ongoing forestry management plan has resulted in flourishing stands of both aspen and conifer as well as undergrowth that is beneficial to the local wildlife. In front of the main residence, an expansive yard transitions into a grass meadow and facilitates the exceptional views from the home. Elk and deer are often seen grazing in the 20 acres of cultivated hay meadow on a long bench above Willow Creek. The wetland areas, ponds, and the Willow Creek riparian corridor feature mixed vegetation including willows and native grasses. An internal ranch road loops through the property, providing convenient access for hiking, riding and enjoying the various parts of the ranch. There are multiple gates which provide direct access into the national forest along the north boundary line of the property. Access to Steamboat Lake State Park for boating, fishing and snowmobiling is directly across County Road 62. Snowy Mountain Ranch is situated in the upper Elk River Valley of northern Routt County, Colorado. The Elk River Valley extends north from Steamboat Springs and lies to the west of the Park Range and Mount Zirkel Wilderness, and east of the Elk Head Mountains. Overlooking Steamboat Lake Park, the property serves as a private sanctuary just one mile west of the base of Hahn’s Peak, the area’s most significant landmark. The property is adjacent to both the Steamboat Lake State Park and Routt/Medicine Bow National Forest. The mountain village of Hahn’s Peak is two miles southeast of the property and the small community of Clark is nine miles to the south. Steamboat Springs (pop. 12,100), a four-season resort community, is 26 miles south of the property via paved County Road 129 and provides a complete range of amenities as well as a full-service FBO capable of landing small aircraft. Commercial air service is also available at the Yampa Valley Regional Airport in Hayden, which is just over an hour’s drive to the southwest. It is worth noting that the pleasant drive along CR 129 to the Snowy Mountain Ranch is amongst the most scenic in the state of Colorado. Following the meandering flows of the Elk River, the route takes visitors through a lush bucolic valley interspersed with large historic ranches. The river bottom along the road is dominated by old-growth cottonwood trees and expansive hay meadows that rise into aspen and sage-covered hills and beyond to timbered slopes, mountaintops and dramatic snowcapped peaks. A quiet place, the Elk River Valley has largely escaped development and is one of the few river valleys in Colorado where no trains travel. Snowy Mountain Ranch is situated along the northern flank of a broad basin surrounding Steamboat Lake. The basin is bound on all sides by mountain peaks and timbered slopes. The backdrop of the property is the Elkhead Mountain Range, of which Sand Mountain to the west and Hanh’s Peak to the northeast are the most prominent summits. Rising above timberline to an elevation of 10,839 feet, Hahn’s Peak is the most notable peak in the region and provides the ranch with some of its most dramatic views. From its base, the valley meanders south for 23 miles to its confluence with the Yampa River Valley. Views to the east are of the vast Park Range and the Mount Zirkel Wilderness Area that comprise the Western Slope of the Continental Divide. The quiet and historic village of Hahns’s Peak provides immediate access to fuel, limited grocery supplies, as well as restaurants and a full range of guided recreational activities. The Clark Store, a favorite gathering place for locals and the guests of nearby luxury guest ranches, is conveniently located nearly halfway between the property and Steamboat Springs. Steamboat, a four-season resort destination, is renowned not only for its skiing and amenities, but also for being a community that retains its rich ranching heritage. Because of the area’s history, culture, beauty and abundance of outdoor recreation, it has attracted a friendly and vibrant mix of residents and visitors. Though it is the largest town in the region and offers a full suite of dining and shopping options, Steamboat remains free from the traffic and congestion of ski-resort communities located along the I-70 corridor. In addition to an excellent public educational system, four-year college, and regional health care facility, Steamboat serves as a recreational hub for the entirety of northwestern Colorado. Snowy Mountain Ranch enjoys an attractive year-round mountain climate. Summers are marked by moderate daytime temperatures and cool nights while winters are mild. The property is easily accessibly every month of the year and enjoys abundant sunshine and little wind. Given its valley location along the west slope of the Continental Divide, the Upper Elk River Valley and nearby Steamboat Springs receive more precipitation than the average for Colorado. This region averages 24 inches of annual precipitation with an average high of 82 degrees in July, the warmest month, to an average high of 27 degrees in January, the coolest month. Passing through the ranch’s gated entryway, one enters the property on a private driveway that winds through an open meadow and into a mature aspen forest. The paved road turns into a circular drive as it reaches the forest, connecting the three buildings of the owner’s compound while also providing each with its own point of access. Tucked discreetly against the edge of the trees and the meadow is Snowy Mountain Ranch’s featured destination – the stunning main residence. Capturing the architectural ambience of the great national park and traditional alpine lodges, this log and stone home is impressive yet blends easily into its natural surroundings. With 10,900± square feet of finished living area, the home is characterized by an open floor plan, featuring huge timbers, massive fireplaces and high-quality finishes. Abundant windows throughout the home are oriented to take in the views and take advantage of the southern exposure with postcard views of the lake and surrounding mountains. Constructed of finely milled large-diameter logs from Montana and Canada, the main residence serves as a warm and inviting gathering place. A large porte-cochere welcomes guests, providing access through a front door hand-crafted from wood reclaimed from a monastery. The structure’s appealing floor plan is immediately apparent upon entering through the front door. Open and spacious, it provides ample space for entertaining or simply relaxing. A favorite place for both is the great room. With its soaring ceilings, floor-to-ceiling rock fireplace and wall-sized picture windows, this is a place for gathering as well as enjoying views of the out-of-doors from within. Complementing the great room is a gourmet kitchen, complete with fine-honed granite counters with river rock backsplashes, top-end appliances, a spacious pantry, and a cozy wood fireplace. A spectacular dining room with windows on three sides is adjacent to the kitchen and provides unspoiled views of Steamboat Lake under a grand chandelier. The main level master bedroom enjoys a private deck, luxurious en suite bath, and its own fireplace. A second bedroom with full bath and an additional guest suite, wet bar, butler’s serving area, powder room, and mud room complete the main level. An outdoor covered cooking and dining area and multiple large covered decks with abundant seating provide additional places to enjoy the setting al fresco. The upper level features an open loft overlooking the great room, two additional spacious bedroom suites, an office and a half bath. The lower floor is a garden level with exterior windows for natural light. It features a large game room, home theater, half bath, maid quarters with bath, mechanical and utility areas, and storage. The total size of the main residence, including covered porches and the porte-cochere, is 15,798± square feet. A matching guest residence sits amid an aspen forest just a short distance to the east of the main residence. Sharing the same log and stone construction as its larger counterpart, the 1,735± square foot two-bedroom home serves as a warm and quiet retreat. Here, guests will enjoy a large living area with vaulted ceilings and fireplace, as well as a full kitchen and large covered porch. Situated just behind the main residence at the back of the circular drive is a large log barn and garage. This structure is designed with three large drive-through bays – each bay accessible by garage doors on either end that allow trailered vehicles to drive in and out without backing. Much nicer than your average barn, this well-appointed building also features an upper level exercise area, apartment with kitchen living area, two beds and bath, and abundant storage. The 2,813± square feet of finished space combines with 3,161± square feet of garage area for a total of nearly 6,000 square feet. Fed by the mountains of the Elk Head Range, Willow Creek meanders through the ranch for .7 mile of channel length. A primary tributary of the Elk River, Willow Creek flows from Hahn’s Peak Lake high above the property in the Routt/Medicine Bow National Forest and into Steamboat Lake. From the lake, the creek continues its southerly meander for a few miles until its confluence with the Elk River. Naturally occurring springs provide additional wetland areas and a pond that is frequented by wildlife. Appurtenant minerals owned by the Seller are offered with the sale of the ranch. There is no known mineral leasing or development activity in this area. The top of the Elk River Valley is one of a select few coveted locales in Colorado with an abundance of quality stream, river, and stillwater fishing. Not only does this abundance of water contribute to the scenic setting of Snowy Mountain Ranch, it provides ownership with a diverse set of angling opportunities – all within a few miles of the Snowy Mountain Ranch. Though a small stream, Willow Creek is home to a healthy population of brook and cutthroat trout. Willow Creek also serves as a spawning ground for the large cutthroat and rainbow trout of Steamboat Lake, and during the spring “run” cutthroat and rainbows in excess of 20” are not uncommon. Covering 1,053 acres, Steamboat Lake is one of only 3 stillwater fisheries in Colorado to receive the Colorado Wildlife Commission’s Gold Medal designation – the state’s top award for trout fisheries. Waters receiving this designation are generally regarded as those deemed the best places to catch the largest and most fish. The lake’s cutthroat and rainbows average 14” to 16”, with numerous fish over 20” and a healthy population of rainbows in excess of 10 pounds. Just south of Steamboat Lake is the Elk River. The Elk, as it is locally known, is a freestone river that drains the western slope of the Park Range, Mount Zirkel Wilderness, and portions of the Elkhead Range. In addition to its beauty, it is known for high quality fishing with trout averaging 14” to 16”, with a number of fish pushing well beyond the 20” mark. The predominant trout species are rainbows; however brookies, cutthroats, cut-bows, and enormous brown trout are caught in its waters. The dry fly fishing on the Elk can be outstanding while nymphs and streamers are always productive. Snowy Mountain Ranch is home to an abundant wildlife population. The carefully managed forest and grass meadows provide rich habitat for a number of animals including songbirds, grouse, raptors, mule deer and elk. Numerous water resources on the property serve to attract and hold wildlife while also providing spring and summer habitat for a variety of waterfowl. Snowy Mountain has not been hunted in over 20 years and is home to a healthy population of mule deer that counts a number of mature, trophy-class bucks amongst its ranks. Though the ranch’s wildlife is remarkable unto itself, there are many nearby destinations for wildlife viewing. 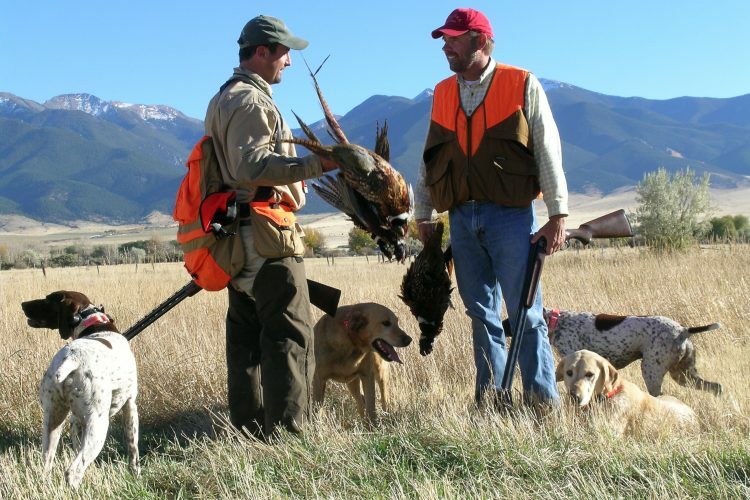 For the hunter, the ranch is located in one of northwest Colorado’s premier hunting regions which encompasses both Steamboat Springs as well as the entirety of the Elk River Valley. While the ranch is a place where one can come to immerse oneself in the natural surroundings and quietly enjoy tremendous views of nearby mountains, its proximity to hundreds of thousands of acres of public lands, Steamboat Springs, the Elk and Yampa River drainages and Steamboat Lake insure no shortage of recreational opportunities throughout the seasons. While a multitude of recreational opportunities are available on the ranch, the Steamboat Lake area is a popular recreational area offering an array of summer and fall activities including angling, hiking, boating, water skiing and hunting. There is excellent backcountry powder skiing in the Park Range on private snowcat or snowmobile. For those interested in motorized winter recreation, Northwest Colorado is a top destination in the state for snowmobiling with groomed trail systems around Steamboat Lake and the surrounding Elk Head Mountains. Proximity to Steamboat provides additional activities including golf and winter skiing. With nearly 3,000 acres of skiable terrain, Steamboat is one of Colorado’s largest areas and most family-friendly resorts.